Next post: Why generic CVs and cover letters end up in the bin! 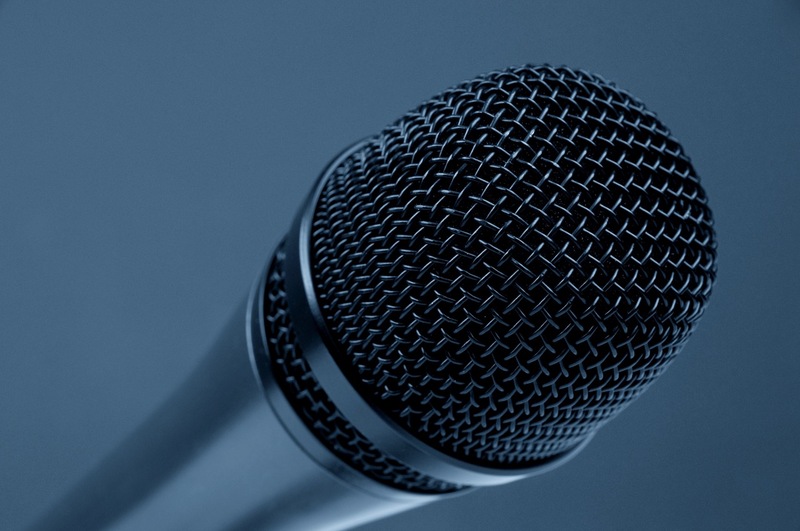 Most of us dread public speaking of any sort and yet it is something we can’t avoid as often we’re required to make presentations to our peers or even to a prospective employer. How can we overcome the fear? Well, as with most things in life, practice makes perfect: the more you do it the better you’ll become. Therefore avoiding it is not helpful as sooner or later you’ll have to do it. Conquer your fear now! Start now taking the steps that are going to lead you to become a confident public speaker. Take small steps like asking a question during a lecture. Take inspiration from the people around you who you consider good speakers: what do they do? Can they give you any tips? Public speaking is a performance, you don’t actually need to be yourself when delivering a speech, you can emulate somebody you admire. Become familiar with what you want to say. This sounds quite obvious but it’s the main point. The more you are confident about what you’re going to say, the better you’ll do. Even if the nerves take over your brain or your body, if you know what you’re talking about you’ll go on automatic mode and deliver. Prepare your script in advance and practice. Practice in front of a mirror or with a friend. Look out for voice tone and little mannerisms that will get in the way of your message. Many years ago, when I was a trainee teacher, my supervisor videoed one of my first classes and I couldn’t believe how much I run in front of the room, from one corner to the other while speaking. You would think my students were watching a tennis match, their heads turning left and right very quickly to follow my movements! If you have the chance to video or record yourself while practicing, do it. Yes, it is very embarrassing but also very useful. I find particularly useful to be in the place where I’m going to speak the day before or at least sometime before the presentation. I go to the exact place where I’m supposed to be delivering my speech and visualize what will happen. I mean visualize my surroundings and delivery, not my audience in any state of undress as it is so often suggested. In my visualization, the audience is always interested in what I have to say and yes, they’re fully dressed. I also make myself familiar with the “machinery”- where are the lights, how to turn on the equipment and make it work, etc. If this is not possible, I try to at least be at the venue a few minutes before to take everything in and to actually see the audience coming in, making eye contact, smiling, maybe chatting if appropriate so that they are not strangers when I start speaking. Most audiences are friendly; they want you to succeed so try to connect. Let’s assume your audience can read. It’s not particularly interesting for them hear you read slides, they can do that themselves. If you put all the information in your slides and read from them; then what’s the point of your presentation? You might as well just print out the information and disseminate it. Your audience wants to see the human. A good presentation is about you being there delivering a script. Don’t let the slides replace you. The average adult attention span is 5 minutes! What three main ideas do you want your audience to retain? People are more likely to remember information that come in threes so don’t overbear them- if possible trim your script down to the three main ideas you want them to retain and work around that. Tell them what you’re going to tell them, tell them and then tell them what you’ve just told them (see what I did there? Three things!). This helps the audience to remember the most important points of your message. Think of the most memorable speeches in history like Martin Luther King’s – he repeats the word “freedom” twenty times, the word “dream” eleven times and “I have a dream…” eight times in a period of only a few minutes. Repetition helps to retain the message. There will always be things out of your control that can go wrong. Think them through beforehand so that you’re prepared. Do you have a backup of your presentation? Perhaps you can email yourself a copy. What can you do if you can’t use your slides due to a technical issue? Can you have backup handouts? Make sure to have a plan B. If you need support, there are resources available to you at The University. You can find workshops and online resources on My Learning Essentials. Recently they advertised two workshops that sounded really useful: “Speaking out in groups” and “Group work: play to your strengths”. They also have a few short courses online about presentations: “Present like a pro: the art of delivery”, “Present like a pro: visual victory” and “Start to finish: present like a pro”. Keep an eye on what is advertised on My Learning Essentials. The Careers Service has a Presentation Skills Starting point guide. Keep in mind though that no amount of reading can replace experience in a practical matter as this. You can’t learn how to swim without getting in the water. So dip your toes first, start today to take little steps towards conquering your fear.